On September 13, 2017, As You Sow announced an open letter from groups worth $46 billion AUM, urging Sanderson Farms to revise its policies regarding antibiotic use. On September 21, 2016, As You Sow partnered with other important voices to create a global investor statement on antimicrobial resistance. The co-developers of this statement include ICCR, FAIRR, and ShareAction. The statement received support from over 70 institutional investors and stakeholders with over $675 billion AUM. In 2015, McDonald’s adopted a U.S. policy to source chicken that is raised without antibiotics important to human medicine, but did not create a similar policy for pork, beef, or chicken sourced outside the U.S. As You Sow has co-filed a resolution with lead-filer Benedictine Sisters of Boerne, Texas to request that McDonald’s extend its policy on antibiotics to their global supply chain for all livestock. This 2016 resolution requests that McDonald’s only allow antibiotics to be used for disease treatment. Over 70 percent of antibiotics sold in the U.S. are used on food-producing animals so that they gain weight or to prevent illness rather than to treat illness. This type of misuse of antibiotics is contributing to a global health crisis, according to World Health Organization. 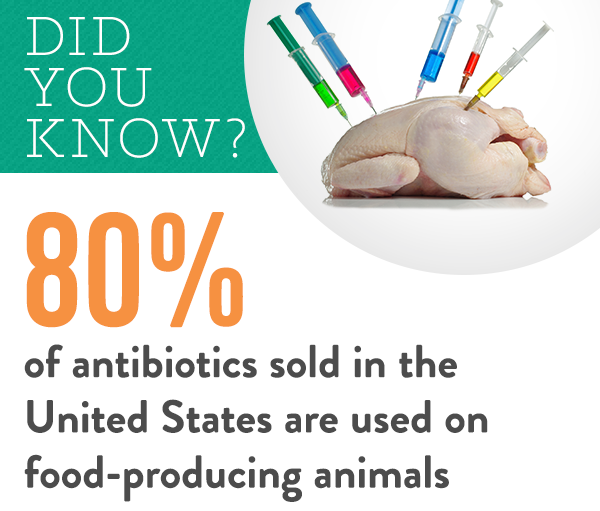 Add your voice and tell U.S. food companies to stop using antibiotic-pumped meat! The U.S. Department of Agriculture has determined that much of the antibiotics use in animal feed provides little therapeutic benefit to the animals. Nevertheless, the Food and Drug Administration permits extensive use of antibiotics in animals, including the same or similar antibiotics as those used for the treatment of humans.